I'm sure I'm not the only one thinking this, but I can't believe it's JULY! Raise your hand if you're looking forward to the short week -- I know I am. In celebration of America the Beautiful today is about all things Red, White and Blue. A causal dress is prefect for any BBQ. 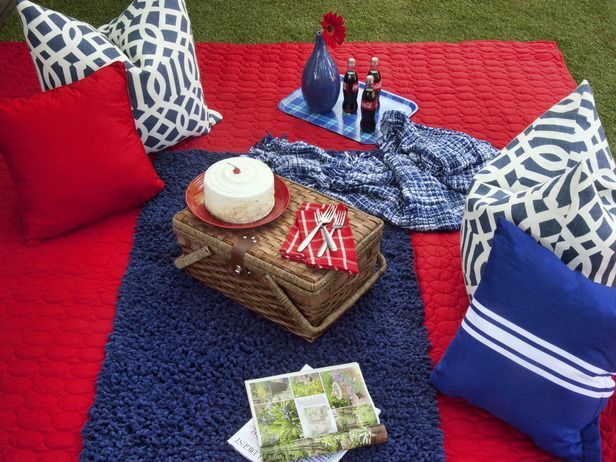 Create a cozy area on the grass for guests to relax with a quilt and few oversized pillows. If you didn't know I love milkshakes, and if I must say they make for a perfect after firework snack. 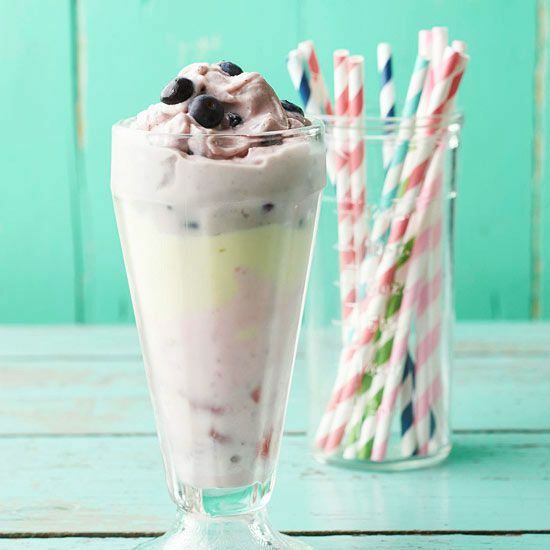 This particular milkshake is layered with of strawberry, vanilla and blueberry. This one sounds good too. Make this easy and tasty berry tart to bring with you to the BBQ. 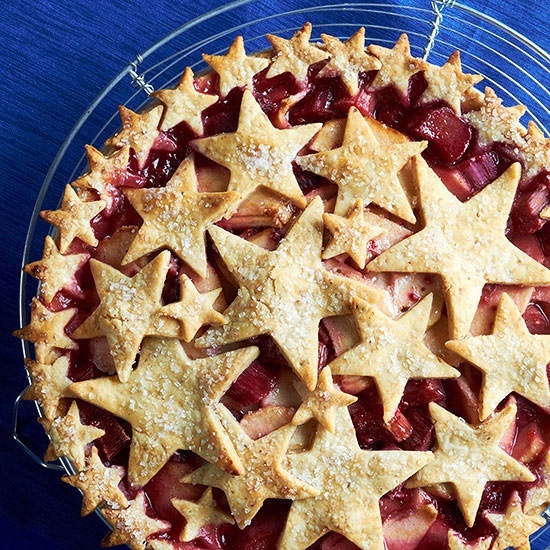 Apple, Rhubarb, and Raspberry Pie --This pie sounds so good I would make it all year long! 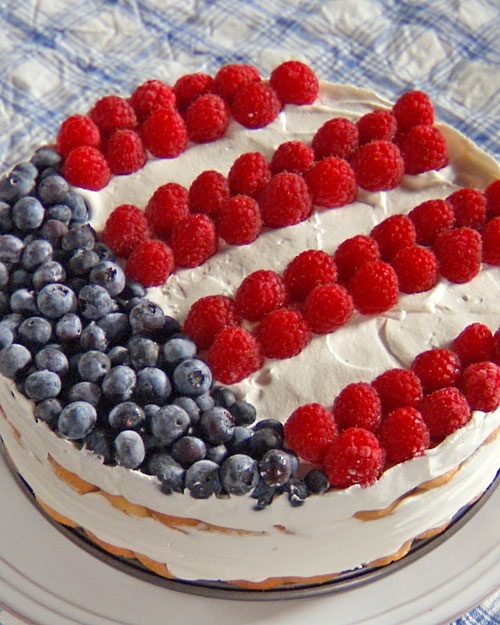 A 4th of July party isn't complete without an American flag cake. 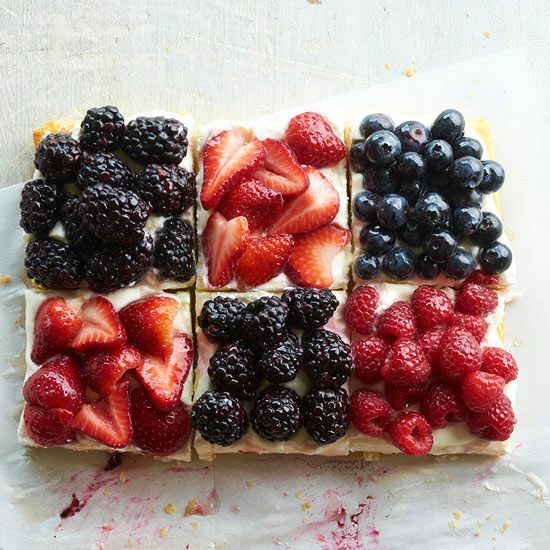 I could post endless amounts of food photos -- looking for a few more ideas check out my Red, White and Blue pinterest board. That picnic set up is adorable! I saw someone wearing that dress at the fireworks show i went to hahaha and the tarts look yummy! !